Strategy is about making choices between a number of feasible options to have the best chance at “winning”, and innovation is just one of the means to achieving your strategic goals. Without a good one, it’s actually quite difficult to achieve long-term success and orient your business for speed in order to secure competitive advantage. What’s interesting is that according to statistics, 96% of executives have defined innovation as a strategic priority. However, the lack of clear innovation strategy is a fundamental problem especially for established companies when optimization of existing business becomes a priority. While developing an innovation strategy isn’t necessarily difficult in itself, aligning it with your overall business goals and ways of working is what takes most of the time and effort. This time, we’ve decided to try to make sense of the broad topic by introducing five steps for developing your own innovation strategy. In addition, we’ll introduce a few tools that can be used when mapping your strategic goals in order to make the best choices for long-term success. Best Practices - How to Make your Innovation Strategy to Work? Innovation is about creating new value people are willing to use and pay for, whereas innovation strategy is the plan for harnessing for example marketing, operations, finance and R&D to support the competitive goal and achieving it. To clarify, innovation strategy isn’t about innovation tactics, such as setting up an idea challenge, but more about mapping organization’s mission, vision and value proposition for defined customer market. It sets boundaries to your innovation performance expectations by simplifying and structuring your innovation work to achieve the best possible outcome. Innovation strategy can be described as an explicit roadmap for desired future. Before moving forward, it’s important to mention that your innovation goals shouldn’t be separated from your overall business objectives as having a unified vision and common goals for innovation will help fighting the silo effect as well as increasing the operational efficiency. If you think about marketing, for example, you wouldn’t want to separate your marketing strategy from your overall business objectives but rather make sure your marketing strategy and initiatives help contributing to your overall business plan and vision. The same goes for innovation. There’s no point of innovating just for the sake of it, as it has to contribute to your bigger plan. So, before starting to develop an innovation strategy, make sure you’re aware of how innovation helps with achieving your goals. 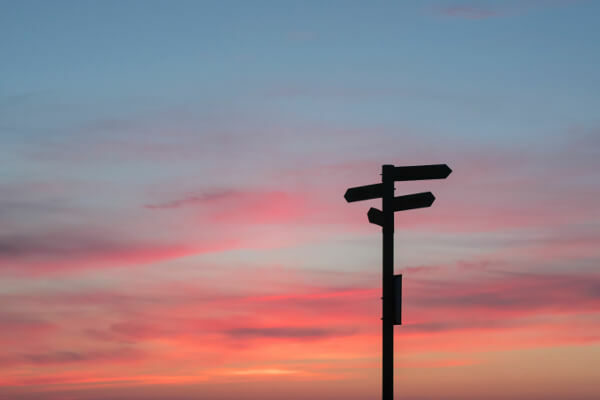 Building innovation into your strategy development process starts with making a deliberate choice of focusing on the best possible way to win as well as justifying the reasons behind that choice. Often, the best approach to this is to make a set of choices you’re more capable of putting into practice compared to other players in your field. 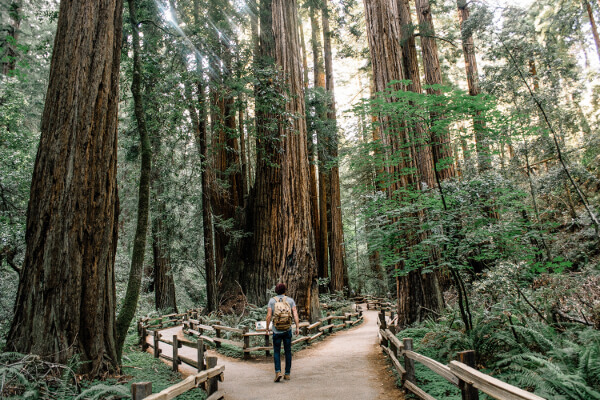 One relatively solid framework for making those strategic choices is The Strategy Choice Cascade. The cascade is introduced in a strategy book called Playing to Win, by A.G. Lafley, the former CEO of P&G and Roger L. Martin, Dean of the University of Toronto's Rotman School of Management. Needless to say that these two gentlemen have a lot of experience on business and innovation strategy consulting. The purpose of the strategy choice cascade is to turn strategy from a complicated, messy and often deeply confusing and divisive chore, to a systematic and simple exercise. Next, we’ll look into each of these steps separately from the perspective of innovation. 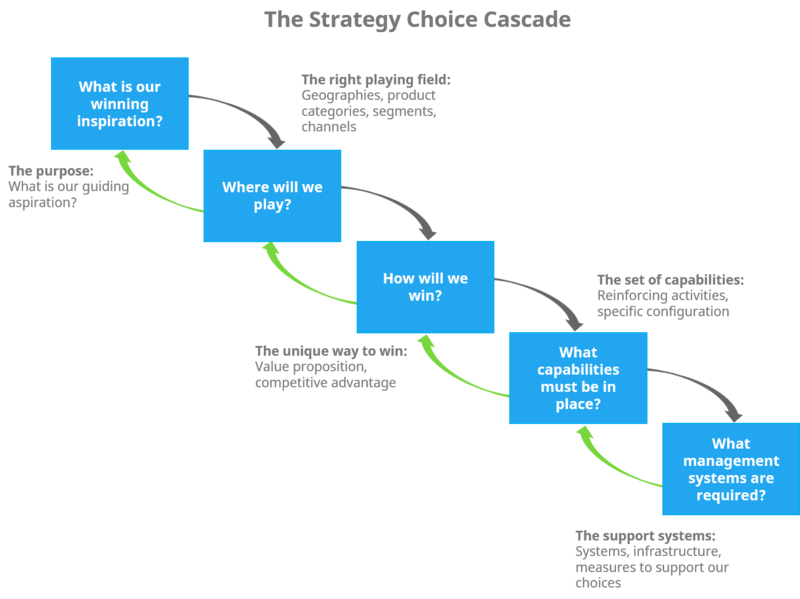 The first step in the strategy choice cascade is defining your winning aspiration. In other words, your innovation objectives and the why behind your innovation strategy. As any other strategy, the planning process of your innovation strategy starts with defining your objectives: What do you want to achieve with innovation? If we take a step back, think about your long-term business goals and the things that are most likely to drive your business forward even after some time. As already mentioned, your innovation strategy should help supporting your business objectives and vice versa. An example of a good strategic approach introduced in Playing to Win is Olay. Olay's winning aspiration is to become a leading skincare brand that wins convincingly in their chosen markets and channels. Along with hair care, it will help establish a key pillar in the Procter & Gamble beauty-care business. It's likely that your approach to innovation will be something different. Typically, there are two different approaches to innovation strategy: business model innovation and leveraging existing business model. Business model innovation is the development of new, unique concepts supporting an organization's financial viability, including its mission, and the processes for bringing those concepts to fruition. The primary goal of business model innovation is to realize new revenue sources by improving product value and how products are delivered to customers. The purpose of business model innovation is to address the choice of target segment, product or service offering, and revenue model. At the operating model level, the focus is on driving profitability, competitive advantage, and value creation. Leveraging existing business model refers to continuous improvements and incremental/sustainable innovations. As opposed to the business model innovation, the strategic focus with organizations that leverage existing business model is on improving the core business rather than building new business models to create new value. 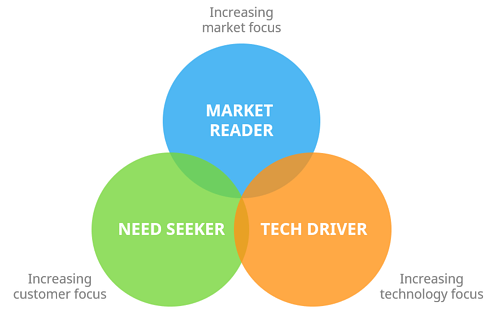 The second step in the strategy choice cascade is defining the right playing field, as in, the market you’re operating in and the customer segment you’re offering value for. To be able to innovate and to respond to your customers’ needs, you should listen and understand what your customers really want and remove the rest. To be able to do that, knowing what happens in the market is essential. However, because competitive needs are individual and often very specific, a strategy that worked for another player in your field shouldn’t be copied but learned from. Although defining your playing field is important, your unique value proposition is what will make or break your innovation strategy. Next, and probably the most important step is to define your unique value proposition – how will you win? What type of innovations allow the company to capture that value and achieve competitive advantage? 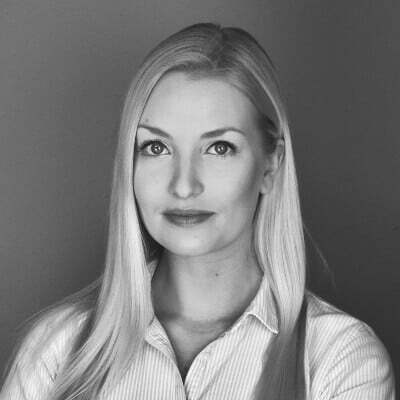 Because the purpose of innovation is to create competitive advantage, you should focus on creating value that either saves your customers money and time or makes them willing to pay more for your offering, provides larger societal benefit, makes your product perform better or more convenient to use, or becomes more durable and affordable compared to the previous product and the ones in the market. To be able to find a unique value proposition, the ability to identify and exploit new uncontested markets is recommended. This can be done through value innovation. Value innovation was first introduced in the HBR article called Blue Ocean Strategy and later in the classic book bearing the same name. The purpose of value innovation is to achieve sustainable competitive advantage by looking beyond your current understanding of the industry and reforming your value proposition to stand apart from the competition. Securing new competitive advantage is done by making competition irrelevant, also referred to as the blue ocean. To succeed, one must adapt existing products or services through differentiation and lower cost. 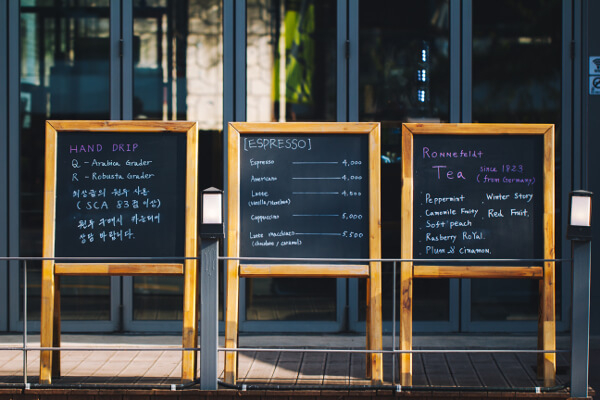 Often, companies imitate their competitors offering slightly improved products and services with slightly more competitive price. Because rivals and imitators are about to attack fast, both the value proposition and the profit proposition should be outstanding. This makes your business model more difficult to imitate and gives the best chance for you to be able to swim in that blue ocean. To reach value innovation, try to clarify which customer segments your competitors are focused on, and how do these segments overlap with the ones your new offering targets. Is it possible to adapt any of your existing products to differentiate them further for the geographies or segments that will face the most pressure? 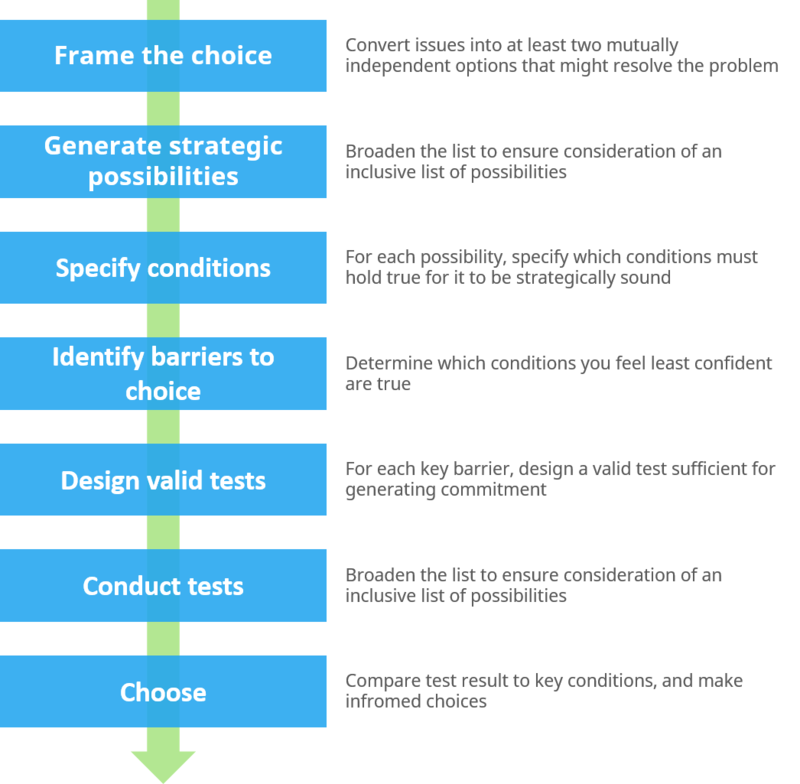 The first three steps in the strategy choice cascade really comes down to one thing; your fundamental capabilities required for winning. For example, if you want to win at delivering breakthrough technology, you must have internal skills and knowledge to be able to build that. The ability to connect and develop these capabilities is key to innovation. Last but not least, to be able to execute your innovation strategy in a scalable and integrated manner, you should find out what systems need to be in place. Define: which innovation techniques and systems do we need in to be able to link our innovation infrastructure elements together? What are the most important systems that support and help measuring the results of our innovation strategy? According to a recent study, Christopher Freeman defines the system of innovation as 'the network of institutions in the public and private sectors whose activities and interactions initiate, import, modify and diffuse new technologies'. 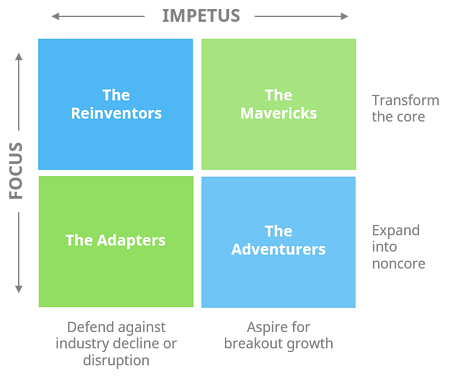 Now that you know which strategic choices you need to make in order to succeed in innovation, you should map these choices. This will help you to be able to identify what must be true for your strategy to be valid. 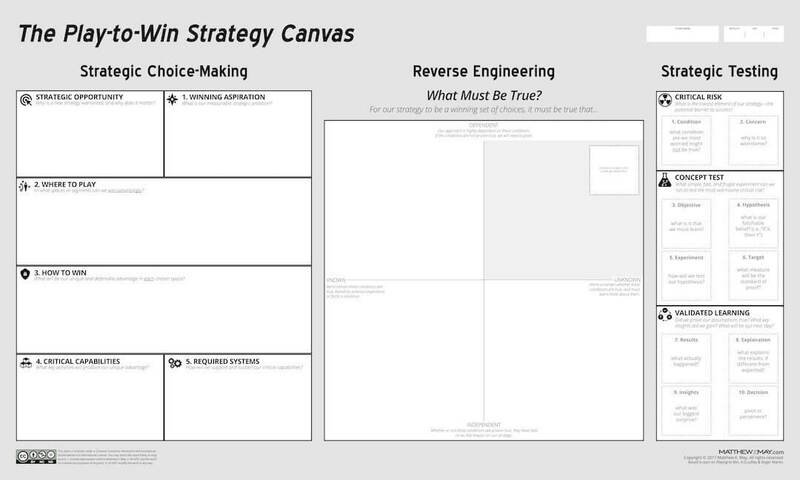 Reverse engineering is a technique a part of the strategy canvas that can be used to ensure your strategic choice is sound. Instead of relying on opinions, reverse engineering allows you to design and conduct valid tests in order to make informed choices. It helps you to involve all of the decision makers (VP’s included) to critically assess the viable options and make them committed to the process and strategy. Reverse engineering helps identifying the “nice to have conditions” vs. must have conditions and finding an answer to: what would have to be true instead of what is true. This question helps you to focus on analyzing things that really matter. It allows you to involve all of the decision makers (VP’s included) to critically assess which one of the options is the most valid. This process is good for making your people committed to the strategy as the strongest option will be uncovered together. 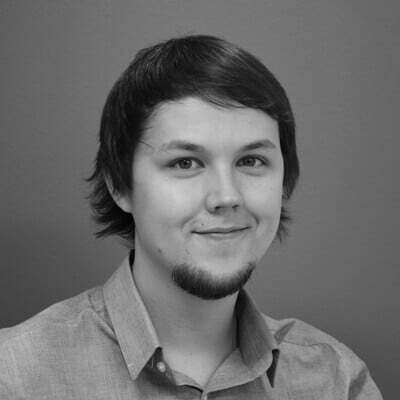 Since testing is often the most time-consuming and expensive part of developing a strategy, the fewer tests you need to make, the better. Use reverse engineering to pinpoint only what you really need to know. In the end, only viable strategic options remain, as all other conditions failed to pass the test. Best Practices – How to Make your Innovation Strategy Work? After you’ve picked your strategic approach to innovation and mapped all of the most important elements related to it, it’s time to put your innovation strategy to work. To make sure innovation remains a strategic priority, stay focused on your goals and executing your innovation strategy in a systematic manner. Your strategic long-term goals give structure and support to your innovation work. Having boundaries and staying focused on your end goal is the only sure way to get you there. As already mentioned, aligning innovation strategy with your overall business goals is one of the most difficult tasks when it comes to succeeding with innovation. So much so that 54% of innovating companies struggle to bridge the gap between innovation strategy and business objectives. According to Deloitte 2016 Global Board Survey, one of the reasons for this might be that the overall understanding seem to be weak with regard to talent management and innovation/R&D strategy. Other common issues are uncertainty and the unusual time horizon of innovation results. To succeed with strategy alignment, aim for communicating the role of innovation within the entire portfolio to drive innovation across all units in your organization. Ensuring that innovation is fully embedded into an overall business strategy is the only way to allow your organization to innovate in the long term. No matter how great your innovation strategy is, it won’t get you far if you fail to get your people committed to your innovation management processes. Often, the root cause of these types of challenges is the top management. If senior managers fail at the top-down communication, even a good strategy will not work if not integrated into the actual ways of working. Because senior leaders are often the ones who make the decisions, making active communication and engagement a priority can help motivating people into more active innovation. When your employees are aware of the goal and purpose, as in, why you’re doing what you do, it will make the long-term commitment much easier. To integrate innovation into the ways of working, you might want to consider partnering with your key people and set individual goals that support your innovation strategy. Providing clear direction and guidance can help you to make innovation a part of your everyday work. Last but not least, to be able to tell how your innovation strategy works in practice, you should be able to measure in a systematic manner. Picking the optimal metrics and setting the right expectations on which to be measured helps monitoring your progress. Systematic measuring is the only way to be able to adapt to changes to achieve better outcomes in the future. So, don’t do it in a silo, but aim for bigger impact by making a systematic measuring a part of your innovation strategy. Innovation strategy is about making the best educated choice between a number of feasible options. To succeed in developing the best possible innovation strategy for you, you need to identify and map your best possible strategic choices required to win. However, making those choices is only half the battle as it’s equally important to test and validate your approach. For your innovation strategy to work, strategic alignment and seamless integration to the ways of working is the key. By clear communication as well as supporting metrics on company an individual level will help you making innovation a continuous practice. When you have the right innovation strategy in place, the next step is to build a systematic process for generating, developing, evaluating and implementing new ideas. 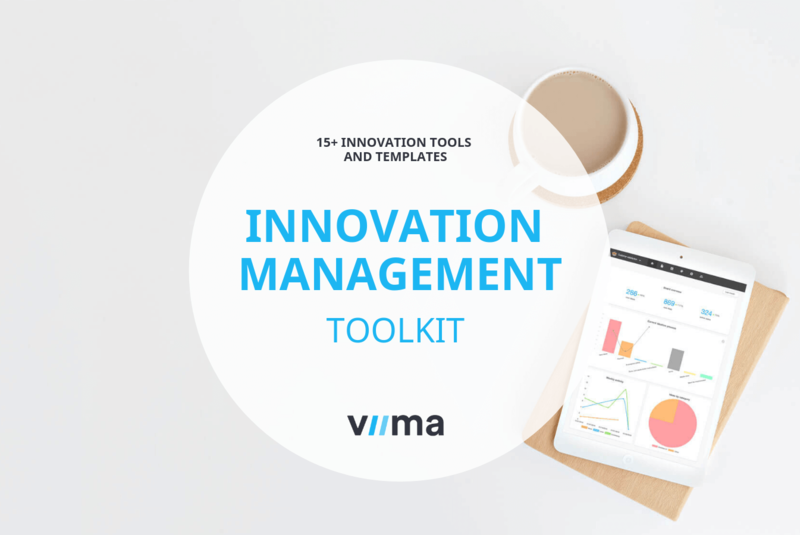 You can get started with The Ultimate Toolkit to Innovation Management that combines over 15 of our favorite innovation tools, guides and templates. One of the sections in this toolkit is dedicated to planning an innovation strategy and also includes tons of other useful material for making more innovation happen in your organization.